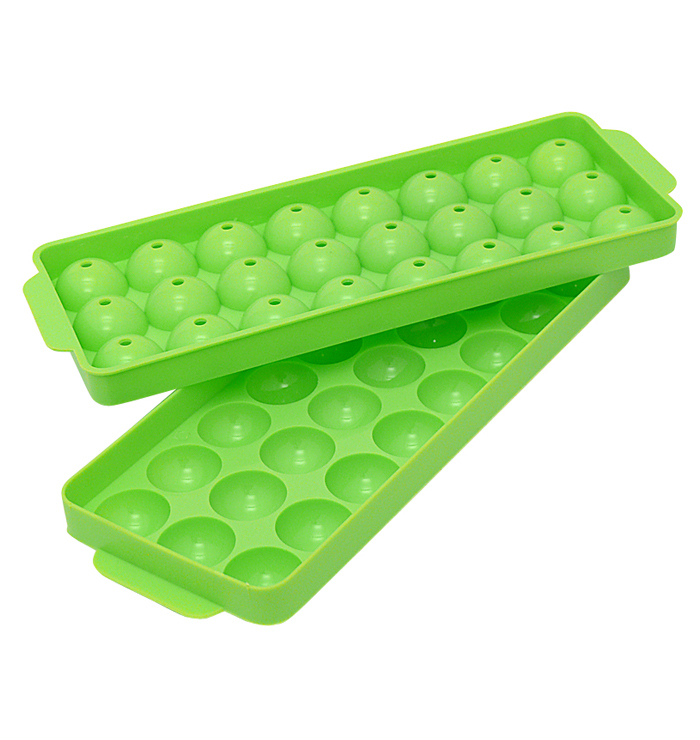 This fabulous 2-piece ice tray makes 24 round ice balls, each approximately 1" in diameter. 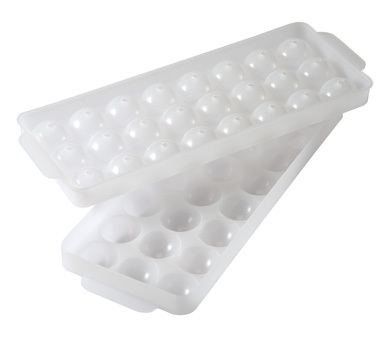 Easy to make, easy to remove: Fill the bottom tray with water, place the cover on top and put in the freezer. 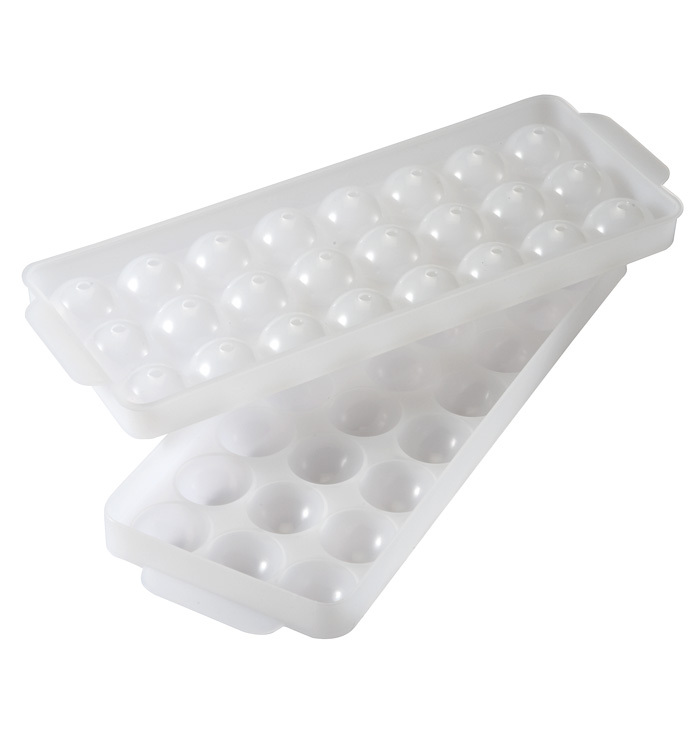 To remove, run the frozen ice tray under warm water for a minute to loosen the cover. Dishwasher safe. Made in the USA. 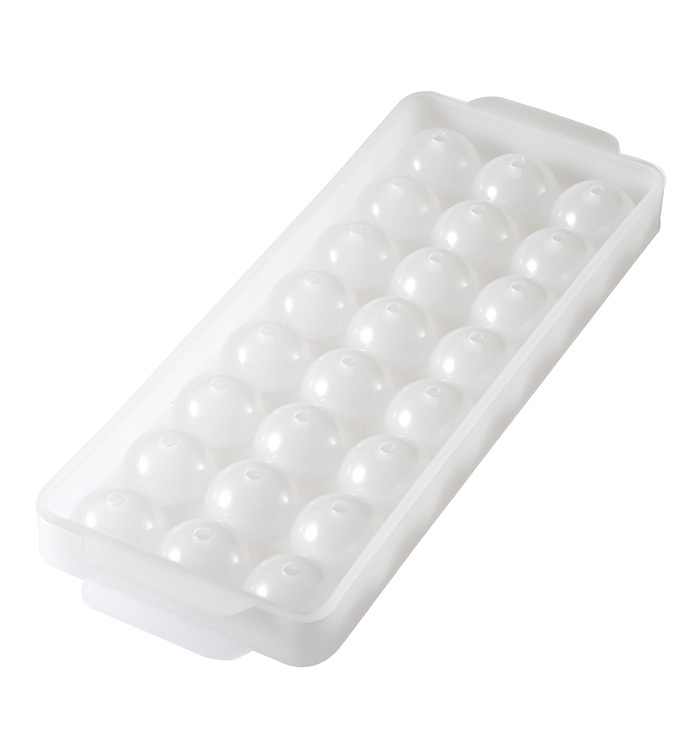 Packaging: Bagged with hang tab.